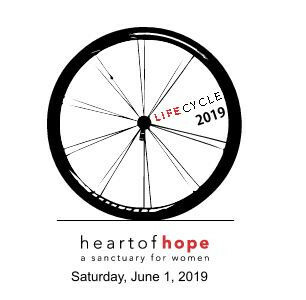 LifeCycle Bike Benefit Tour is Saturday, June 1, 2019! LifeCycle is a community-friendly bike tour for cyclists of every age and skill-level. We offer a challenging event for the lycra-loving, hard-core cyclists, and also a fun and non-intimidating event for leisure cyclists and families. Five routes are offered with beautiful country scenery including Caddo and Desoto Parish. Event includes pre-ride snacks, fully-stocked rest stops, lunch, Kids' Fun Area, and a sponsor expo. Caddo and Desoto Sheriffs will provide traffic relief on the courses along with SAG support for all routes. LifeCycle Bike Benefit Tour 2019 is going to be the Ride of the year! Isn't it always? We are guaranteeing a Premier SWAG Bag to the first 350 registrants! Of course our SWAG includes a custom Camelbak bottle, custom Cooling Towel, Gu-Energy, Clif Bars, AND MORE!You can expect the same great routes, SAG support and the BEST Rest Stations! Packet Pick Up is available at River City Cycling in Shreveport on May 25th from 11am-3pm. Carb-load/Packet Pick Up is Friday, May 31st at Rev's Pizza, 6301 Line Avenue, Shreveport from 5:30-8:30pm. Registration will also be open on Event Day from 6:30am to 7:15am. We encourage you to register before event day, so you can enjoy the SWAG Bag. We guarantee only 350. All participants will enjoy fully stocked Rest Stops, Event T-Shirt, and the after the ride lunch/party. LifeCycle 2019 Maps will be uploaded by January 31st! This year we made it EXTRA EASY to get your family and friends involved! If you believe in our charity, you can get your family and friends involved to help us provide a safe refuge for young women facing a crisis pregnancy, needing emotional, physical and educational support. Simple click here https://www.pledgereg.com/lifecycle2019 and sign up! DID YOU KNOW if you raise $150 or more, you will get a 2019 custom designed LifeCycle Jersey?